The Manhattan Bridge was the last of the three suspension bridges built across the lower East River, following the Brooklyn and Williamsburg Bridges. 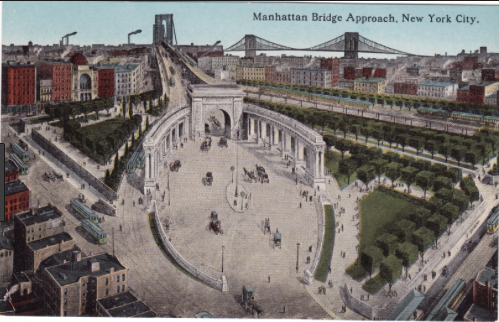 In 1910, after the bridge opened, the architectural firm Carrère and Hastings drew up preliminary plans for an elaborate grand entry to the bridge on the Manhattan side, as part of the "City Beautiful" movement. Construction began that year, and plans were finalized in 1912. ICR conducted a survey and laboratory and in situ testing to design a conservation program for the granite. Quality control was conducted during implementation. As materials conservators, our team was given the assignment of preserving the architectural and sculptural elements of the monumental Hallowell granite entry to the Manhattan Bridge. In this capacity, ICR created a testing program to supply the data needed to develop step-by-step specifications for conservation. During construction, ICR and ICC monitored the work to ensure that the quality of the work specified in the design phase would be upheld and realized in an efficient manner. 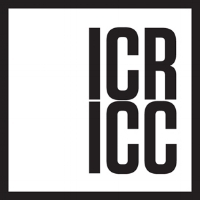 ICR’s work was approved by both the New York City Landmarks Commission and the New York City Arts Commission.